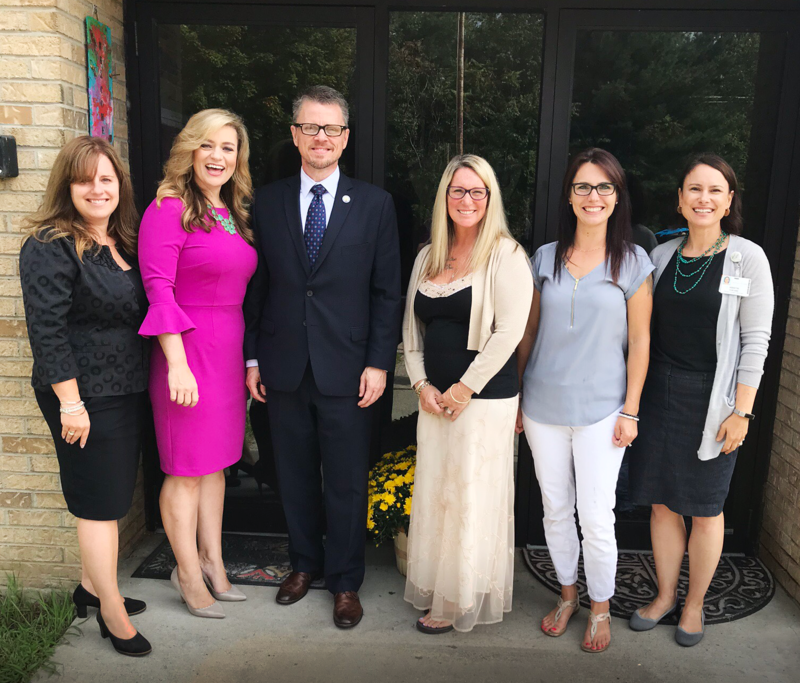 Assistant Secretary Johnny Collett and Deputy Assistant Secretary Kim Richey visited Little One’s University during the 2018 Back-to-School Tour. 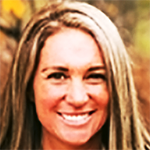 Caryl Jaques is the Director of Little One’s University in Essex Junction, Vermont. 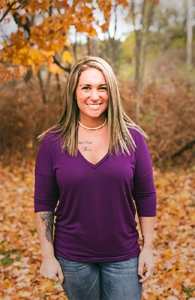 She earned a bachelor’s of science degree in education with a concentration in psychology at the University of Vermont as well as a master’s degree in education. She is licensed to teach children ages birth through sixth grade and has been directing child care centers since 1997. Caryl opened Little One’s University in May of 2009 and guided the center to earn a four-star rating in Vermont’s Quality Rating and Improvement System (QRIS) and continuously works to improve the quality of the program. She is also the proud mother of six children ranging in age from three months to 18 years old. How did you begin your career in early childhood? I graduated from University of Vermont with a bachelor’s degree in elementary education with a concentration in child psychology. I was offered one teaching position but it was too far from my house to commute each day so I started working in a child care center with younger children. I fell in love with it and after a year became the director of the program. We expanded the program from serving just preschoolers (3–5 year-olds) to a program that served infants through 6 year-olds. While I was there, I also went to school and earned a master’s degree in education, which gave me the skills to begin to address the high staff turnover rate. I created an in-house training program that gave staff the opportunity to become lead teachers. After 12 years I decided it was time to open my own child care center. In the new center my teachers and I built a program based on love and empathy for children. Over time our center became known as the center that would take children who were asked to leave other child care centers due do behavioral challenges. Parents of these children struggled to find child care and they absolutely felt the love and commitment we were willing to invest in their children. A high percent of the children we served were at-risk due to being exposed to trauma and toxic stress. Most of these families received subsidies for child care and were not able to pay their co-pay. We became a resource poor center serving the most at-risk population. Love was not enough to provide these children with what they needed. We had excellent teachers but were missing the developmentally appropriate books and materials. We desperately wanted to improve quality but found very little support for programs that were starting out. What strategies did you use to improve the quality of the early learning experiences you provide? Five years ago we were selected by the Caring Collaborative as one of the early childhood sites they worked with to infuse resources and services to increase the quality and support families that were living below the poverty level received. This partnership provided our center with materials and resources that helped increase the quality of care and education that our teachers were providing. The Caring Collaborative provided the financial means for us to engage in trainings on how to work with children that suffered from high levels of trauma and toxic stress. This helped us improve our quality, and as our quality increased so did the money coming in from the child care subsidies (Vermont’s Quality Rating and Improvement System (QRIS)—known as STARS is connected to the state’s tiered reimbursement subsidy system, the higher your center’s star-rating the higher reimbursement you receive for the child care subsidy). The extra money allowed us to purchase materials that helped us continue to increase our quality, which brought new partnerships for our center. For example, we were chosen by the Howard Center to become a therapeutic child care center. This partnership gave us access to professionals with degrees and experience working with children with severe behavioral challenges. We were then more able to identify and meet the needs of our families. We developed a food program through a partnership with our local school district, and we were also able to offer yoga and arts programs for children. We added an onsite resource coordinator to connect families to resources outside of the center in areas that families need support such as finding secure housing. We were no longer a program that just loved children but we were a program doing great things for children and families. Due to the increase in quality and exposure from the partnership with the Caring Collaborative, our center was able to create a partnership with the Essex Westford School District. The state received a federal Preschool Development Grant (PDG) and our local Essex school district was a subgrantee for the PDG expansion. The school district needed additional high quality classrooms and asked us if we were interested. This partnership meant we could serve four year olds in a high quality classroom and we could hire a licensed teacher with the district paying a percentage of the teacher’s salary. By the district paying a percentage of the salary, we could have 2 assistant teachers in the classroom and buy developmentally appropriate furniture, books, materials and toys for the classroom. The funding that supported the 4 year old classroom allowed us to focus our resources on other classrooms. Overall it helped us improve our quality across the center. We went from being rated as a two star center (on our state’s QRIS) to almost the highest star rating (five). The great thing is that when you are rated higher on the state’s QRIS you receive a higher reimbursement rate for children receiving the state child care subsidy. We also noticed that with our higher rating we began to attract families that paid out of pocket for child care (not through the subsidy). Without this partnership with the school district we never would have been able to improve our quality. Johnny and Kim visit Caryl and other early learning providers/special educators in Vermont during 2018 back to school tour. Why do you think the early learning years are so important? The early years are so important because they set the foundation for future learning and adulthood. The quality of experiences that a young child has directly impacts the child’s social, emotional and physical development and the adult they will become. In my experience both with my own children and those attending my center, there is a difference in kids who had access to high quality early learning programs and those who didn’t, which can be seen as they enter elementary school. When we were trying to love children through their tough experiences without resources, it wasn’t enough! When you are able to provide children with high quality experiences you see challenging behaviors diminish and an overall reduction in stress not just for the child and teacher but also for the families. High quality programs have a huge impact on the relationships between a child and his or her family. How do you work with families? It is really important to create a strong sense of community among the families you serve. When a child attends our center we are clear at the beginning that we are a partner with the family and that we believe families are their child’s first teacher. We use the strengthening families self-assessment tool for early care and education programs to help promote positive relationships with families. We host family nights once a month in the center bringing families together to discuss different topics and build community. We also have a community swap where families can bring in things they no longer need and trade them for other materials they might need for their home. For families that have children with challenging behaviors, we’ve learned about the importance of building a positive home/school relationship from the beginning so they trust us and understand that our goal is to help their child be successful, not make them feel bad about their parenting. We do our best to engage families early knowing that many of them may not have had the best experiences in school. We also rely on the special interventionists that come to work with some of our children. They often will help with specific strategies we can implement in the classroom and that families can try at home. What suggestions do you have to improve early childhood services and programs? There are so many amazing people and resources in the early care and education field. Child care center directors and staff often become isolated and feel like they are responsible for solving the world’s problems alone. My advice is to be open and honest, invite people in and collaborate to best meet the needs of the children you serve.